Back in December, Facebook launched a new tool called 'Creative Hub', which is a basically a sandbox in which you can test out their various ad options and see what they'd look like for your brand. Split into three segments ("Get Inspired", "View Formats" and "Create Mock-Up"), Creative Hub provides a range of examples and test tools to try out Facebook and Instagram ad variants. 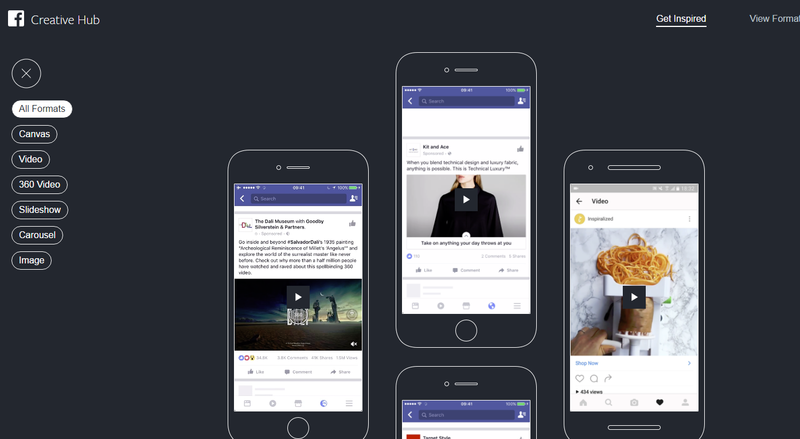 What's more, you can even send your ad mock-ups to your mobile to see what they look like in the live environment - when selected, Facebook sends the example to your phone via the Facebook app. When you open the app, you'll get a notification, which enables you to view and interact with the ad as you would if it were live, providing even more perspective on how the ad looks and responds. Even if you're not planning to go to the next stage and pay for Facebook ads, it's an interesting tool to try, giving you a risk-free way to see what users will see if you do go with Facebook's paid options. 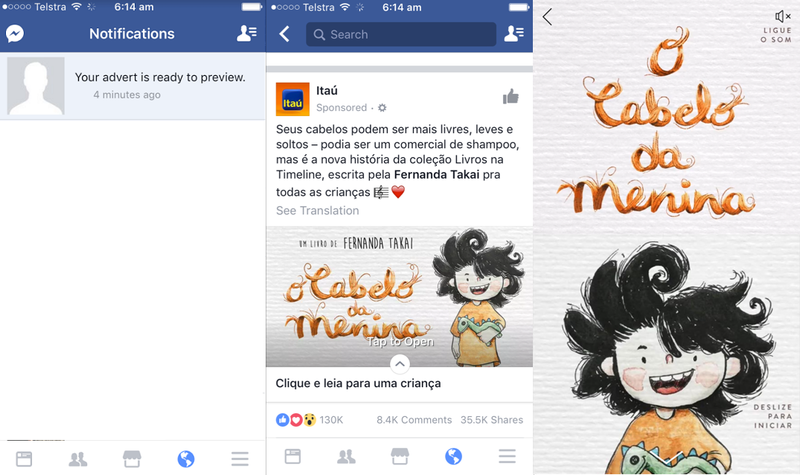 And now, Facebook's launching two new tools to add to Creative Hub's functionality. First off, Facebook's adding a new option which "will let you test your ad creative and get actionable insights based on results from real users." "Our first tool in this set will provide a snapshot of video results, giving advertisers the insights they need to optimize their creative based on real metrics. For advertisers interested in effective storytelling, testing video creative is the best way to make sure it's perfect for mobile feed." Facebook's hasn't detailed exactly how this process works - or how that 'in-market feedback' is obtained - but it's an interesting option top consider, particularly given you're able to gather this feedback before going live (i.e. paying for the ad). The second new element being introduced is the ability to take your ad from mock-up within Creative Hub, to live, by exporting the actual creative you've built within the tool. "Creative teams are responsible for flawlessly delivering final assets to their media partners. This new feature allows them to mock up and deliver complete Facebook and Instagram ads to media agencies using a single tool." Facebook says this new option will improve teamwork between media and creative groups, while also reducing the steps required to deliver final assets. "Advertisers can deliver their final work - no rebuilding required - and simply click to publish." They're some interesting options, and definitely, if you haven't checked out Creative Hub yet, it's worth a look - there are some great tools and features to test out, which could definitely help guide your thinking on Facebook ads.